Originating from Germany, the First lady of Slovenian Telectronic music, Trick-C, succumbed to electronic music in the early 90's. She is one of the pioneers and without doubt from a wider perspective one of the rarest female artist with such a long mileage, still active in the underground Tehno scene. After conquering Slovenian dance floors she quickly gained recognition which led to gigs and festivals abroad. She is known as a DJ, producer, promoter, event organiser and personal mentor to many young artists and other actors involved in electronic music. From the beginning she has been addicted to the underground,where her inspiration and perseverance comes from. She plays a significant role in the promotion of pristine techno.Trick-C shares respect for intimacy, honesty, freedom of creative expression and believes in respecting the artistic individuality. Today she is active within her projects Urban Divas and her residency Bodywork. Behind the decks she is able to deliver the most intimate emotions through her musical execution and an authentic DJ performance with a great selection of tunes and unique feeling for controlling the crowd. She has the empathy and intuition necessary to present her vision of techno in a way that showcases its greatness with a special combination of old and newschool flavour that reflects her deep, instinctive understanding of Techno. Since 2009 her tracks are released on prominent domestic and international underground labels: Vezotonik, Different Is Different, Shout Records. She is a passionate, intelligent lady with a quarter of century eyperience, ever-expanding knowledge and fanbase. 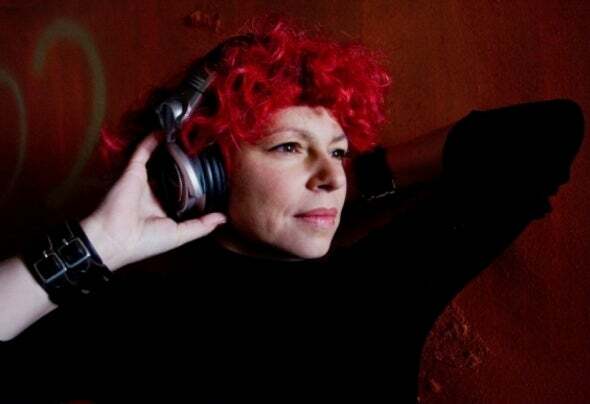 It's no wonder that she has earned herself the titel of the "First lady of slovenian electronic music". Her burning desire, the mission to edducate the audience, make them dance, smile and her abbility to find the connection between what she likes and what makes the crowd respond, makes her one of the most sophisticated slovenian techno artist today.